Banks are counting the cost of saying sorry to their customers. 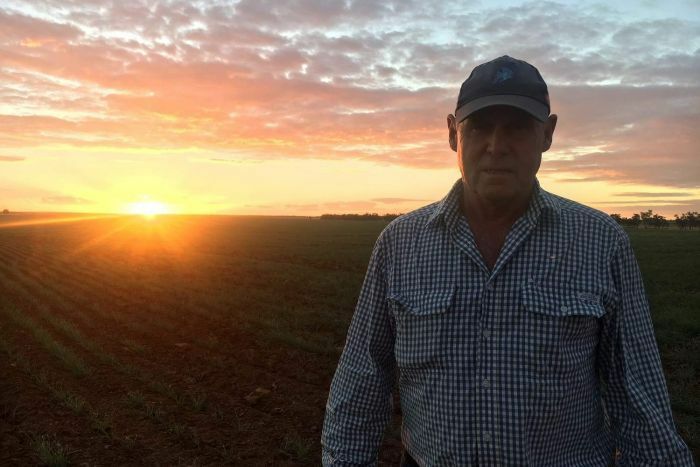 In the past four years, farmer Bill Mott has been to Melbourne, Brisbane and Sydney attending the royal commission and parliamentary inquiries, trying to get an answer from NAB about why he was forced off his $22 million estate. After driving two days from Meandarra — in the Western Downs region of Queensland, about five hours inland from Brisbane — to Canberra, he was shocked to be invited to sit down with NAB chief executive Andrew Thorburn. “Mr Thorburn was quite surprised at how much the pain people have gone through,” Mr Mott said, directly after their 30-minute meeting. “I don’t think he quite realised the extent of the damage that had been caused by not just his bank, but other banks. “So I think it’s a bit of a wake-up call to most of them that have got a heart”. The bosses of Australia’s “big four” have been dragged before a House of Representatives committee in the past fortnight. It’s part of a long apology tour that began before the banking royal commission started its work, and will culminate next month when they are grilled by counsel at the final public hearing. Commonwealth Bank’s chief executive Matt Comyn noted “failures of judgment, failures of process, failures of leadership, and in some instances, greed” during his testimony. Westpac’s chief executive officer Brian Hartzer apologised for a culture of stalling aggrieved customers. “We weren’t quick enough to identify and fix the problems, and we accept the consequences of this delay,” Mr Hartzer said. Even the regulators said sorry, with Australian Securities and Investments Commission chair James Shipton noting the royal commission’s “observations and criticisms about ASIC’s approach to enforcement” and promising to take more big banks to court. For banks, the cost goes beyond damage to its reputation. Refunds, compensation and implementing new systems could cost more than $7.4 billion. Brett Le Mesurier, a banking analyst at Shaw and Partners, compiled the figure from reporting disclosures, and it’s almost double the $3.8 billion already handed over by the banks and AMP. “The banks still haven’t uncovered everything, it’s an ongoing process,” he told ABC News. Mr Thorburn revealed to the Parliamentary Committee the bank had questioned approximately one in every 20 of its staff over “adherence to our code of conduct” in the past year. Mr Thorburn revealed that 300 staff — just over 1 per cent of the bank’s workforce — were terminated or left because of NAB’s internal investigations. “In so many cases we have not had the care and respect for our customers that we should have,” he said. “And for that I am sorry“. Thousands of criminal breaches of the law have been revealed in the royal commission, which will question the chief executives in Sydney and Melbourne next month, and release its final report in February. Mr Mott’s marriage collapsed in the wake of his financial distress, and his children have gone from collectively farming the open fields of western Queensland to being spread across the nation. “I’ve just about gone to the ends of the Earth with this. I’ve done every available thing available to somebody in my position,” he said. Banks are making different choices about how to clean up their pasts. There was laughter and heckling from the parliamentary committee’s public gallery when CBA boss Matt Comyn admitted that he had met with fewer than 10 victims of bank misconduct face-to-face. The ABC understands, however, that in the wake of the hearings Mr Comyn has personally worked to resolve some significant and longstanding disputes. Meanwhile, ANZ boss Shayne Elliott said he was “saddened and embarrassed” by his bank’s behaviour, revealing 200 ANZ staff had been dismissed in relation to misconduct and inviting customers to email him (on Shayne.Elliott@anz.com) for a personal reply. For people who believe they are victims of bank actions, meetings with the CEO suggest institutions are finally reading the public mood. Mr Mott said his meeting with NAB’s chief was positive. “[Andrew Thorburn had] a great attitude and just a total turnaround from the other meetings we’ve had: where all they wanted to do was lie and cover up stuff. “I really feel this bloke did listen today and it was a good result,” Mr Mott said. The meeting did not resolve Mr Mott’s four-year-old issue, but Mr Thorburn promised a substantial response to his claims within a fortnight. “The outcome is unknown,” he said. “But it was a very attentive meeting and a lot of detail was discussed.